SC3-μSeis™ is a Windows® program that facilitates the autonomous data acquisition of triaxial Seismic Cone (SC) time series data. SC3-μSeis™ utilizes passive (micro-) seismic monitoring technology where a dedicated trigger channel remotely discerns whether an “event” or “trigger” has occurred. When an “event”or a“trigger” is detected the SCPT seismic data is stored to file at the user specified sampling rate and sample time. SC3-µSeis™ allows for a Contact or Sensor trigger. 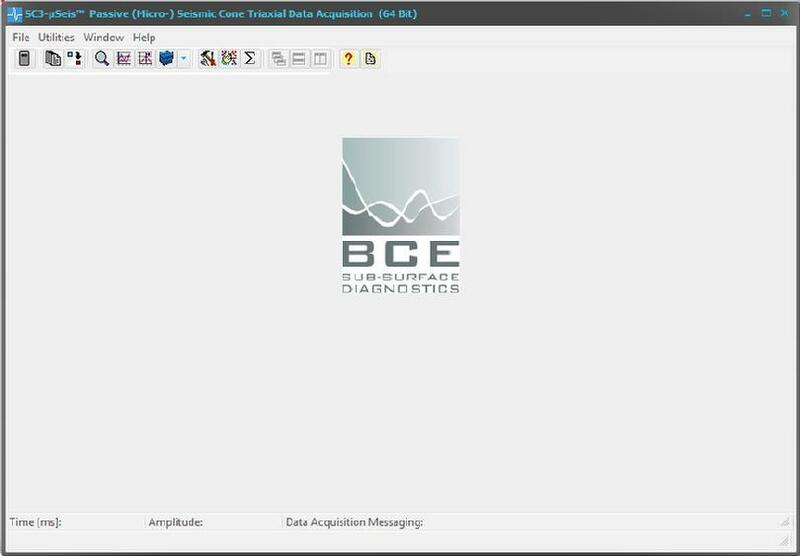 The Sensor trigger is based on BCE’s so-called SEED™ (Signal Enhancement and Event Detection) algorithm, which uses real time Bayesian Recursive Estimation (BRE) digital filtering techniques to analyze in real-time the raw trigger data. Configurable for either Contact or Sensor trigger. Implementation of the SEED™ algorithm. Short term average / long term average (STA/LTA) event detection. Ability to save trigger channel and pre-trigger data to file. Functionality to convert acquired seismic data into the SC3-RAV™ data format. Option for post data stacking. Automatic full waveform SH-wave interval velocity estimates. Displays of peak particle accelerations, velocities, and displacements.